← VERDI’S 200th ANNIVERSARY: Nabucco in Philadelphia. On the occasion of the bicentenary of Giuseppe Verdi’s birth, the association Accademia Nazionale d’Arte Antica e Moderna di Roma organized an exhibition concerning the artists who designed the most important original score covers of Giuseppe Verdi’s operas from 1839 to 1893. 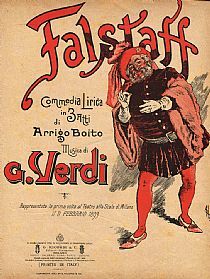 This project started more than one year ago, searching and buying Verdi’s musical scores illustrated by masters and less known artists. 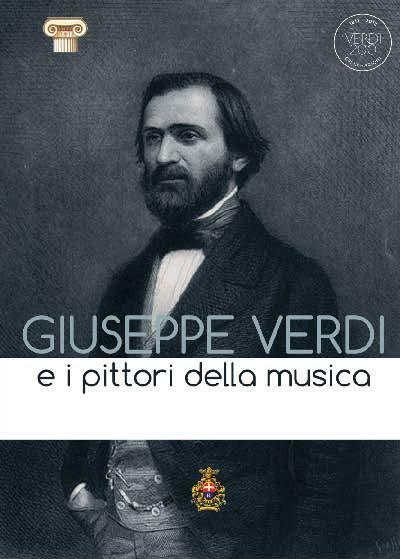 The association intends with this exhibition to celebrate the bicentenary of Giuseppe Verdi’s birth with a subject not directly linked to concerts or to his biography, showing an aspect of the circulation of his music through the illustration. The public management for the promotion of the Italian cultural heritage abroad is also involved, offering to the public a reading of the music through its relation with figurative arts. This project allowed the discovery of talented but still unknown artists. 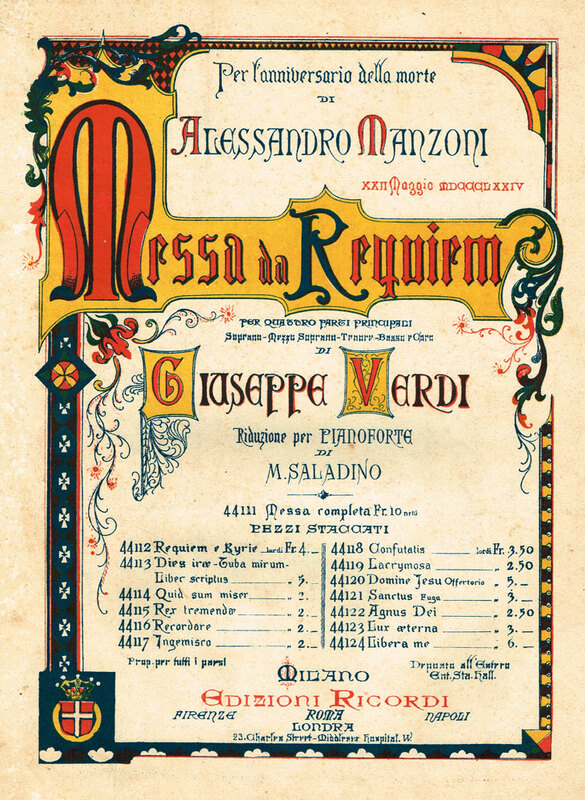 The exhibition follows a chronological path showing all the score covers of the 28 operas by Verdi, together with the Requiem Mass dedicated to Manzoni and Dante’s Ave Maria, in several editions, not only Italian. 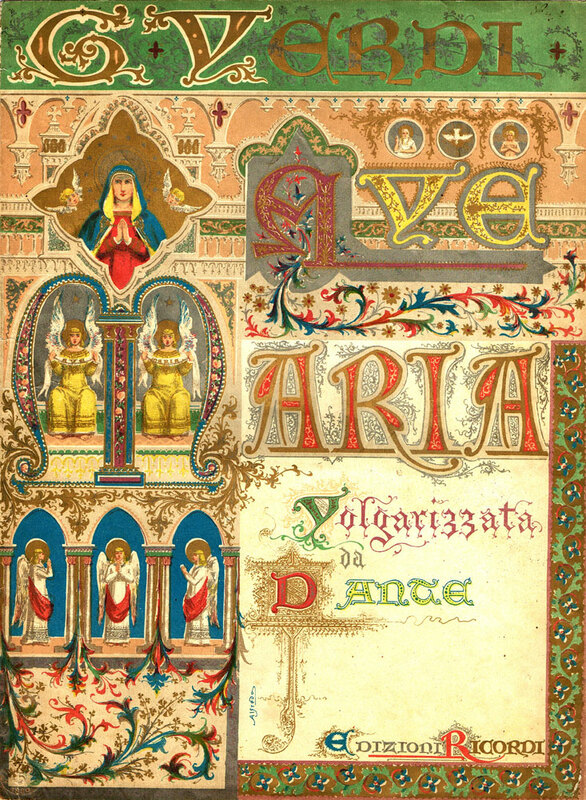 The techniques used to print the covers include xylography, lithography, etching and chromolithography. The publisher is almost always the printing works Ricordi, even though it is not rare to find foreign licensee publishers. 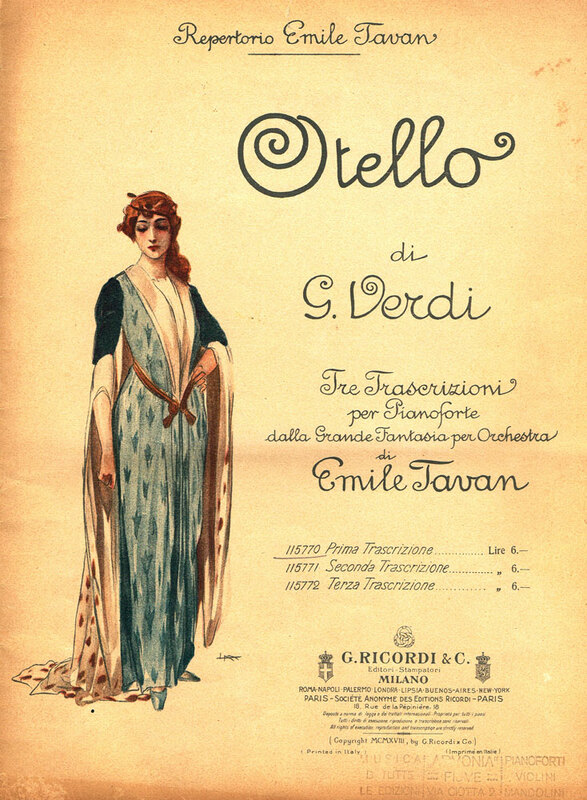 The artists who illustrated Verdi’s score covers were nearly all members of Ricordi’s graphic design studio managed by Tito I Ricordi, skilled lithographer and printer. 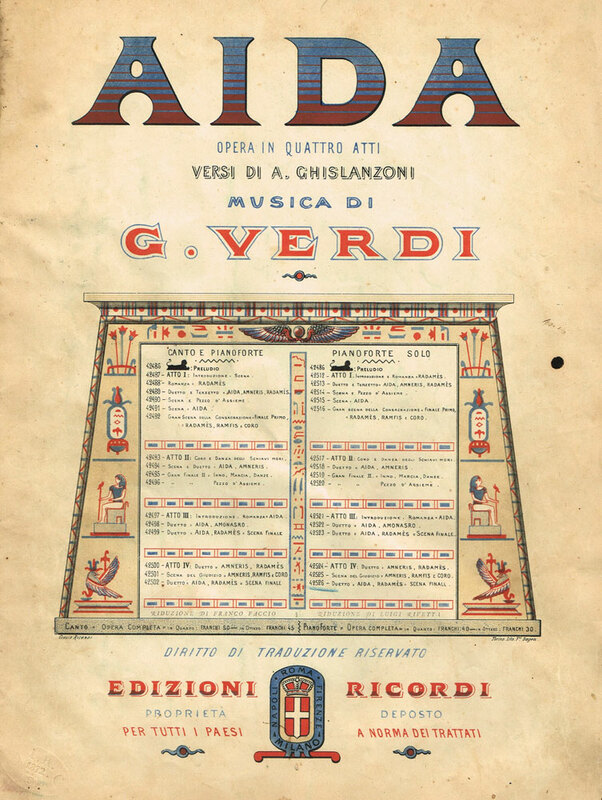 Also his son Giulio designed some covers, among which the title page of the famous first edition of Aida. The most famous artists of this team were Francesco Ratti, Roberto Focosi, Alfredo Edel and Adolf Hohenstein. The exhibition, curated by Stefano Liberati and Dario F. Marletto, is sponsored and organized by the association Accademia Nazionale d’Arte Antica e Moderna and is under the patronage of the Italian President and the National Committee for the celebrations of Giuseppe Verdi’s birth bicentenary in collaboration with Unione Europea Esperti d’Arte, the Italian Ministry of Foreign Affairs, Regione Emilia-Romagna, the Braidense National Library and the city of Rivoli and will circulate during year 2013 through the world net of diplomatic and cultural delegations of the Ministry of Foreign Affairs. This entry was posted in Exhibits, Music, OPera and tagged Giuseppe Verdi, Requiem Mass, Verdi's musical scores. Bookmark the permalink.